“One of our promises is to make things simple and easy for our customers. Merci Dandy, put simply, is fashion made simple.” - Chloé Berger, Co-Founder, Merci Dandy. Private Fleet for Last Mile Delivery? Merci Dandy seeks to shakeup the e-commerce sector by providing highly personalised service and simplicity throughout their customers’ entire experience. 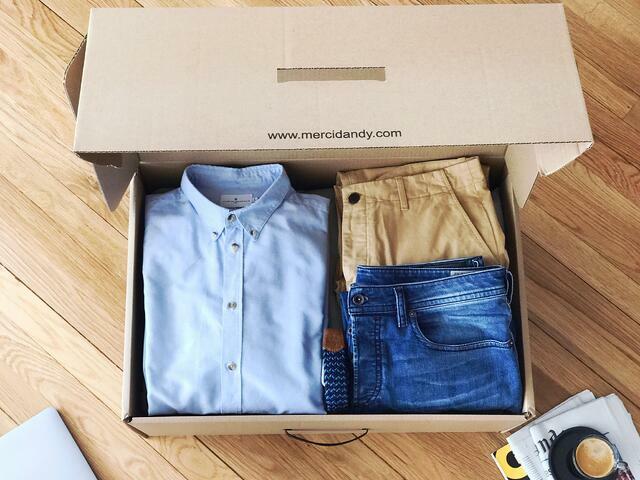 To achieve this degree of convenience, Merci Dandy first and foremost needed a reliable delivery network in order to get the goods to and fro between themselves and their customers, on-demand. Traditionally this sort of flexibility and reliability is possible with a privately-owned fleet of vehicles. But outbound and reverse logistics demand substantial resources to acquire, manage and maintain. Getting the goods out to their customers is relatively straightforward enough, but collecting the returning items is in another league of difficult. The total cost of ownership for example, includes vehicle purchase, fuel and drivers, maintenance and licensing. Other indirect costs are training and supervision, compliance and not to mention, risks and liabilities. What’s more, an efficient private fleet often requires a certain level of economies of scale, and requires a team of logistics personnel to constantly evaluate. For Merci Dandy, a private fleet would not have been a feasible option. They wanted to free up resources and focus on what they do best. They wanted a door-to-door delivery service that wouldn’t cost an arm and a leg, a more personal touch where the goods are delivered by hand, and a seamless experience for the customers where the return of the items is just as straightforward as how they received them. “Lalamove takes the hassle and costs out of managing our own drivers.” - Magali Portes, Co-Founder, Merci Dandy. Lalamove was first discovered by Merci Dandy when it became apparent to them that other professionals and businesses also utilize their logistics services. They offer a great degree of flexibility, as Merci Dandy is required to react instantly as soon as orders are placed. With Lalamove’s 55 minute motorcycle service, deliveries are speedy and destinations are as flexible as can be. And to top it off, Lalamove is even able to provide drivers who speak fluent English, which is exactly what they’re looking for. 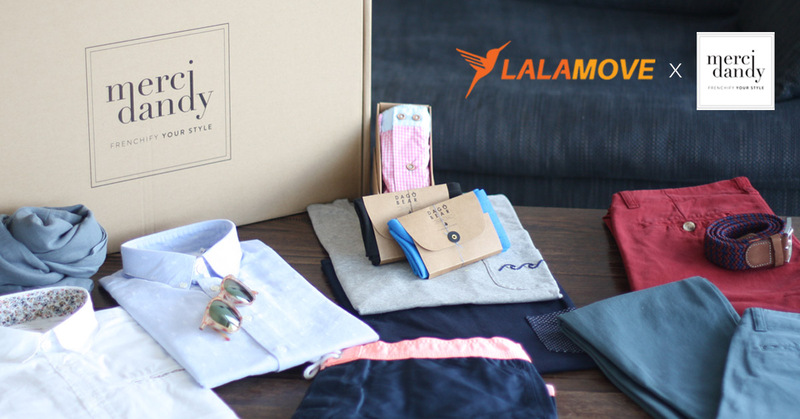 In terms of management and fleet tracking, Merci Dandy is able to make use of Lalamove’s platform to keep track, in real time, of where their boxes of goodies are. “It’s a convenient and user-friendly way to interact with the service provider.” Magali said. For them, an on-demand, 24/7 service is crucial in both getting the items out to their customers as well as collecting them after the fitting period is up. It’s not just their customers who get to enjoy the convenience and flexibility. “For us, logistics is the key to success. 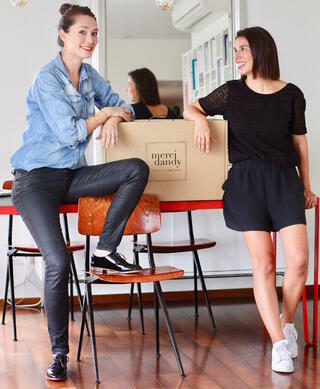 We wanted to partner with the best-in-class player.” - Chloé Berger, Co-Founder of Merci Dandy.